Welcome to Issue 5 of Sanitarium. 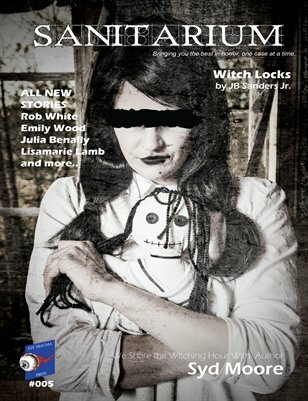 In this issues along with the 9 horror stories we have for you. We also spend a moment with author Syd Moore and talk about her writing and her motivation. We also see "Where the horror happens" with James Everington. Plus we have the usual mailbag, Group Therapy and we cover the bestsellers for the UK and US markets.